Give your home a striking new look, or simply cheer up that drab décor with our colourful home furnishings collection. With furniture for your living room, dining room, bedroom and childrens room, there’s no excuse for a dull atmosphere so embrace all things bold, bright and cheerful with us. Save the usual wash of neutral shades for your wall colour, and make your furniture the focal point to create a dramatic look with impact. The Minnie children’s bed range is a colourful collection sure to spark your little one’s imagination. Available with free Next Day Delivery, it is crafted from Scandinavian pine with a versatile white wash finish. 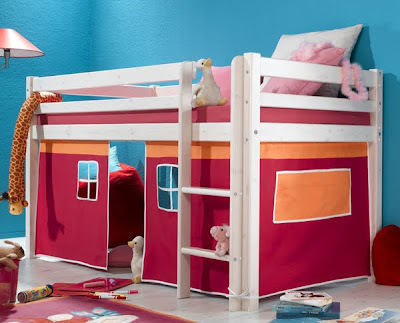 You can save space with this multifunctional kids’ bed frame as it has a den beneath the bed providing a colourful play area. Bed time never looked so fun! With luxe glossy finishes, the Multi TV Unit in White Lacquer will inject some sleek contemporary style into any home. 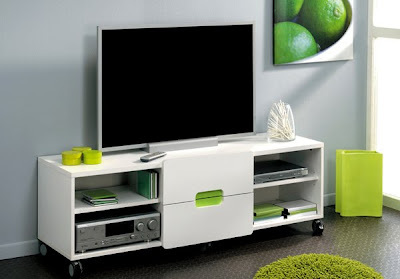 Its bright colourful drawer inlays are fully interchangeable, so you can assemble this TV unit with lime, deep red, black or white drawer inlays. Mounted on castors for ease of movement, this contemporary piece of living room furniture uses sleek white and clean lines to subtley frame its statement drawer fronts. The Hatherley high gloss bedroom furniture collection is available in a versatile palette of nature inspired colours to cater to your individual taste. This extensive range includes pieces of all sizes, so there’s something for everyone. This lively contemporary furniture collection is sure to transform your home with its sleek finishes and crisp clean lines. 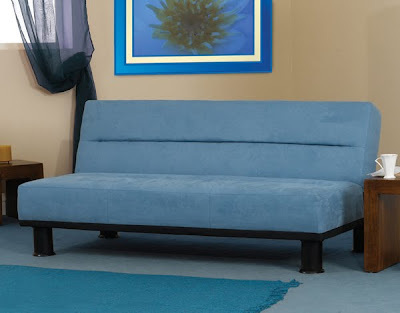 The Dansville 3 Seater Futon in Blue is a great place to start if you are looking to convert your living room or bedroom into a place of complete luxury. This super wide 3 seater sofa has space for you to stretch out and will accommodate plenty of friends. This sofa eliminates the need for a guest bed as it easily folds down into a small double bed - handy for overnight guests. This sofa bed is available in blue, chocolate or latte upholstery to complement a range of décors. The streamlined silhouette is free from fuss and has an effortlessly cosmopolitan aesthetic that is accentuated by the modern tubular legs. The Malaya Mango range encompasses effortlessly simple practicality with rugged good looks to provide furniture that is both functional and stunning. Made from solid and veneered mango wood with a deep walnut colour and bees wax finish, the pieces in this range will make a bold statement in any room without detracting from its overall décor. 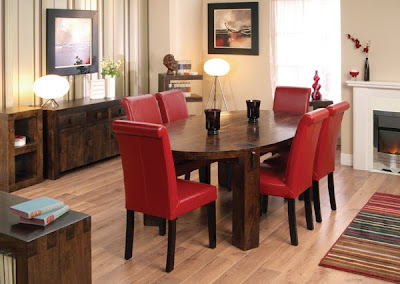 The striking red leather dining chairs add the perfect finishing touch. Established in 1999, Furniture 123 is the UK’s most experienced online furniture retailer offering a fantastic selection of items for every room in the house, as well as the garden, all accessible from the comfort of home. All products sold on Furniture123.co.uk come with free delivery to mainland UK, including over 1000 items with next day delivery. A 10 working day money-back guarantee ensures that customers are able to receive a full refund if they change their mind about their purchase.